Mike Gleason hails from Long Branch, New Jersey. 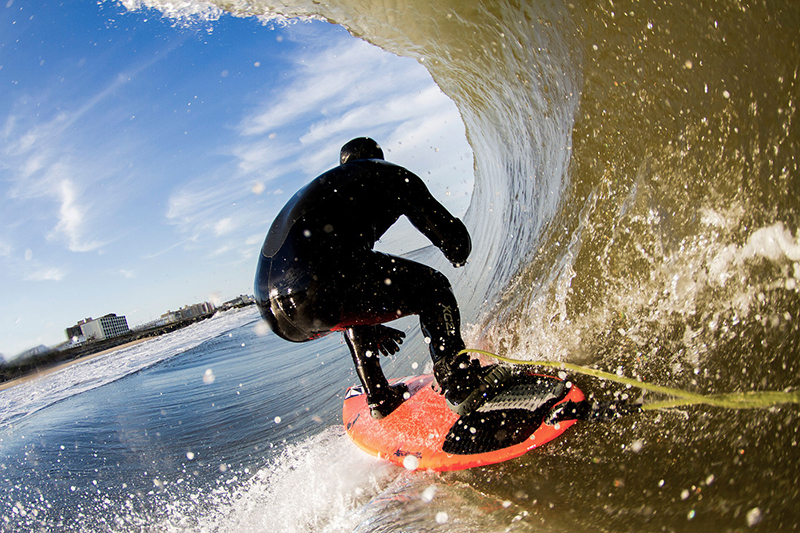 Mike thrives in the shore pounding tubes of the Jersey shore. Gleason thrives when the conditions are most inhospitable and has garnered respect as one of the best surfers from the Garden State. His reputation, though, isn’t confined to the East Coast. He’s landed photos in national surfing magazines, was ranked one of the five most underrated American surfers by Red Bull last year, and starred in Volcom’s feature surf film—Psychic Migrations. At 31 years old, Gleason’s surfing continues to progress.